These tiles stand .75" tall, making it easy for little fingers to pick them up. 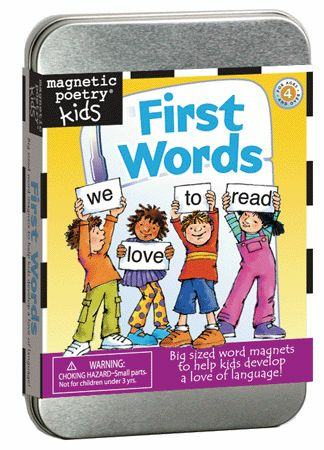 The words were chosen with the help of educators, focusing on words that are often a part of early reading curricula. The kit includes words such as teacher, yellow, dance, summer, always, and moon. For ages 5 and up.